Hope everyone had a great Father's Day weekend! We sure did. It started out with an amazing delivery from my sis. 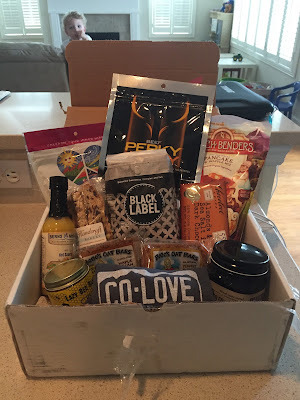 She sent us a Colorado food goodies box that was full of awesomeness. I've tried lots of those yummy items already. Everything so far has been delicious... especially the Blueberry Rhubarb Jam and the Coconut Oat Bar. Saturday was a hot, hot, hot day! But I guess that's Florida for ya. We spent most of our time indoors. 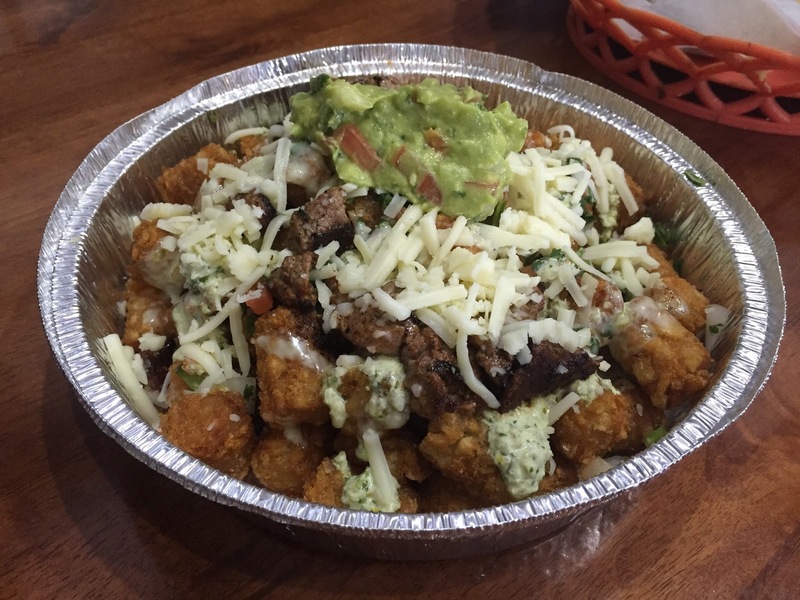 One of our highlights from the day were the Carne Asada Tater Tots from Taco Libre. Talk about decadent! It was HUGE and delicious. On Father's day we headed out early to go to the beach. The drive to St. George Island was beautiful. 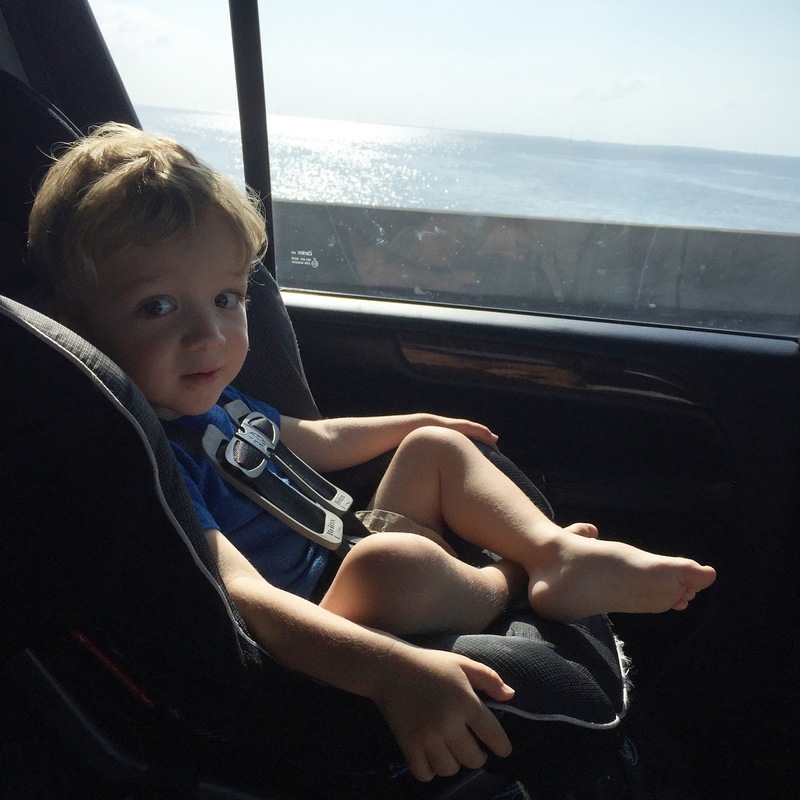 Wyatt was super comfy and really enjoying the view. 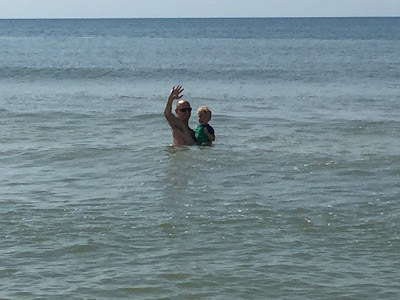 I loved seeing my boys having so much fun in the water! 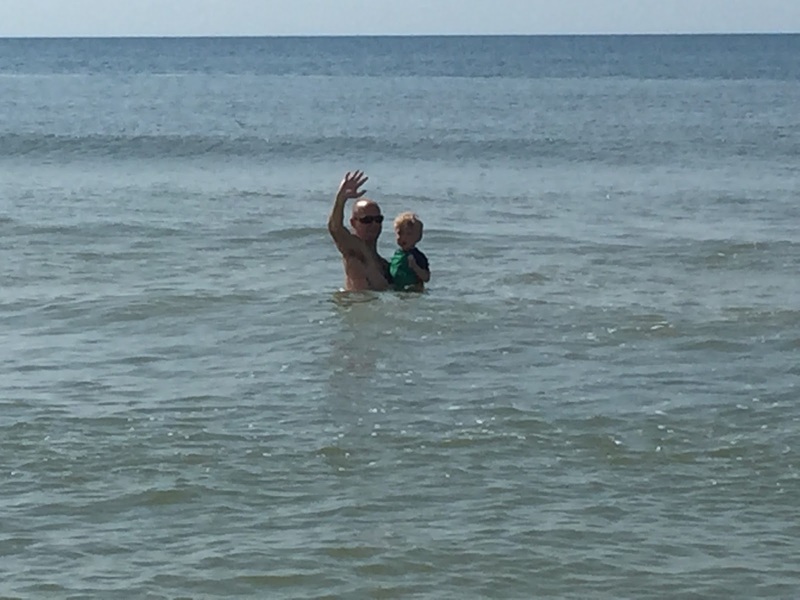 Wyatt loved jumping in the waves with his daddy. He also spent lots of time moving sand from place to place with his "blue shovel", which apparently got washed away because I couldn't find it... grrr. After a couple hours we were ready for lunch, and went to the Blue Parrot, one of the only restaurants on the island. It was good! I scarfed down some fish tacos and Jay had a blackened tuna blt. 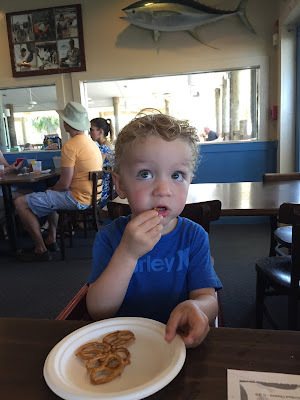 Wyatt had a pretzel appetizer that we brought with us and some grouper fingers. I can't believe how well behaved he was considering it was his usual nap time. What did you do for Father's Day? 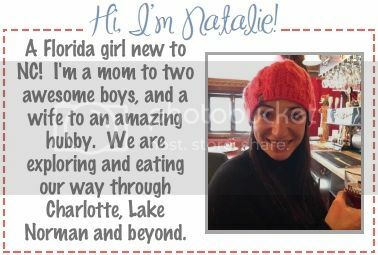 Any special food requests from your husband or dad? Ummmmm Carne asada TATER TOTS?!?! yes please! Looks like a fun weekend, jealous of your beach time!